One of the best ways to communicate with your staff members is through text messaging. This is because the majority of employees have their phones on them at all times, and they are more likely to respond to text messages over email. 1. Sending reminders regarding meetings. A lot of things go on throughout the work week that important things such as meetings and conference calls can be forgotten. One of the ways employers and managers can solve this issue is to utilize SMS alerts to make sure that those who need to be notified of meetings are informed regarding where and when the said assemblies are to be held. Alerts can be sent out to individuals and even to the whole group. A simple integration to a calendar application is all it takes to automatically send out reminders to those who need to be at the meeting. Surveys can be utilized in order to create a better and more progressive company and work environment. Through text messaging, employers and managers can send links to employee satisfaction and suggestion surveys. Employees can then access these surveys at their own convenience. Consequently, this allows for an easier gathering and assessing of data and feedback. 3. Emergency and closure notifications. Notifications regarding emergencies and closures sent via email can be missed, especially if your staff members do not have a habit of checking their inboxes on a regular basis. SMS alerts, on the other hand, are convenient and accessible tools to use when you want to immediately and efficiently inform your employees regarding emergencies and closures. Text messaging allows you to update your employees in real-time regarding updates on incidents and emergencies. You are also able to send instructions regarding what they should do and how they should respond when emergencies occur. Notifications sent through text can also involve reminding everyone about public holidays, such as Memorial Day, to inform them that they have the day off from work. A lot of companies prefer to hire internally. After all, they already know and trust the employees who work for them, and external recruitment takes time, effort and money. SMS alerts makes it easier for employers to inform their existing employees regarding new available positions in the company, and it allows employees to be updated regarding jobs and roles they might be interested in pursuing. Text messaging can also be used for external recruitment. 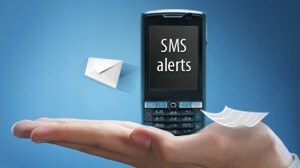 An added bonus when it comes to SMS alerts for external recruitment? Companies are also ale to promote themselves. 5. Polling for the sake of planning. If there are things that you need to decide on such as venues to hold the annual Christmas office party, you can utilize SMS alerts to ask your employees regarding their opinions and thoughts. Polling is made a lot easier and communication becomes more efficient and immediate. You do away with having to constantly follow up via email, or talking with each member of the team or department one by one. 6. Communicating with offsite employees. There will be times wherein some of your staff members will be on the road or on the field. One of the best ways to contact them would be through text messaging. While phone calls can also be utilized, some employees might miss your call if they are busy. Text messaging assures you that if they don’t read your messages now, they will be able to do so later.